Crafted of 18K Solid Gold this Figaro Chain is a piece of beauty. The extra fine shine of 18K Gold Makes this chain an eye catcher. 18K Gold is one of the finest metals out there on the market, making it a real value for your buck! 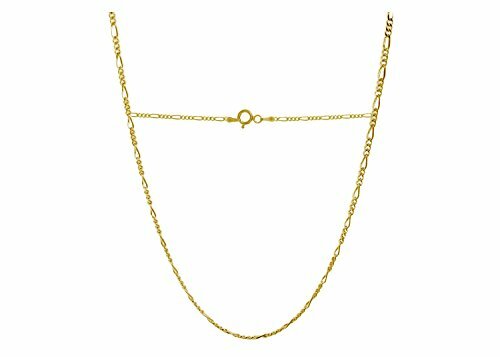 Get this 18K Solid Yellow Gold cable / anchor Chain Necklace- Available in Multiple Sizes 16"-30" Today , treat yourself or get a loved one a beautiful jewelry gift.